St. Charles, MO (February 24, 2019) – The St. Louis Ambush posted a thrilling 10-9 overtime winner over the Florida Tropics Sunday afternoon at the Family Arena. The win improved the Ambush to 9-9, while Florida dropped to 4-12. The Ambush got on the board first on Magui’s power play goal at 6:10 of the opening period. Andre Braithwaite would answer for the Tropics less than a minute later. The Ambush regained the lead (2-1) when Pepe scored off a pass from Zach Reget at 11:29. The Ambush increased the lead to 3-1 on a restart when Magui passed to Clayton, who executed a difficult angle shot at 2:39 of the second quarter. Within a minute (3:56), Mario Marcos found the back of the net, assisted by Lucas Almeida, to grow the Ambush lead to 4-1. Florida stunned the Ambush with the next five goals, starting with Braithwaite, who was the last Tropics player to touch a loose ball that took an unusual bounce off the turf and into the net at 6:41. Matt Clare posted the next goal for Florida when he fired a rocket of a long shot that beat Ambush goalkeeper Paulo at 8:44. The Tropics continued the assault when Paulo was down from a previous save and Max Touloute shot into the empty net at 12:16. Touloute would strike again, going on a breakaway and chipping the ball over Paulo’s head at 14:22 to give the Tropics their first lead of the contest (5-4). Seconds later (14:34), Victor Parreiras sent a restart shot over the heads of the Ambush defensive wall and goalkeeper Paulo to make the score 6-4. The Ambush responded in the closing seconds of the first half when Lucas Almeida sent a pass across the penalty area to an open Stefan St. Louis, who was able to beat Tropics goalkeeper Hugo Silva at 14:51 to reduce the visitors’ lead to 6-5. The Tropics showed no signs of slowing the assault in the second half, as the Ambush defense left Ricardo De Queiroz Diegues open near the goal, and he was able to score easily off a pass from Antonio Manfut just 15 seconds into the third quarter to make the score 7-5. The Ambush answered when a shot by Pepe came off the glass and was picked up by a streaking Zach Reget, who got off a strong shot that found the mark at 3:03. Braithwaite completed the hat trick in short order, making it an 8-6 game at 3:24 of the third frame. The home team drew even (8-8) on goals by Vadim Cojocov (9:45) and the equalizer from Justin Stinson (12:00). The final stanza of regulation play opened with the score knotted at eight until Stinson tallied his second goal of the game, off a pass from Lucas Almeida, at 2:10, to give the Ambush a 9-8 lead. The fourth tie of the game came when Antonio Manfut scored for Florida at 8:16. Neither team scored by the end of regulation sending the match into sudden death overtime, and marking the second overtime contest in as many games for the Ambush. Lucas Almeida, who already had a good game with three assists, was the hero of the afternoon as he nailed a long shot that hit the crossbar and ricocheted into the net at 4:55 of overtime. 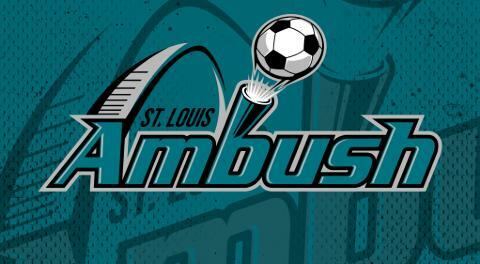 The Ambush are in back in action next weekend when they play back-to-back home games, hosting the Harrisburg Heat Saturday, March 2 at 7:05 p.m. CT, then the Milwaukee Wave Sunday March 3 at 3:05 p.m. CT. On March 2, the Ambush will wear special St. Patrick’s Day green jerseys that will be auctioned off to benefit Junior Achievement, sponsored by CPAs for Hire. On March 3, the popular Annual Mascot Game will be held at halftime, featuring mascots from various St. Louis area sports teams, businesses and organizations. For fans unable to catch any game in person, all MASL games are webcast live at masl.tv. Group and single game tickets are on sale for all Ambush home games. For more information, call the Ambush office at 636-477-6363. Keep up to date on all Ambush news by following the official website, stlambush.com and on Facebook and Twitter. Sunday's game was the ninth win of the season. It is the most wins (so far) in a single season in the history of the current Ambush franchise. The club's best season was 2014-15, when they went 8-12. Sunday's match was the fourth overtime game of the 2018-19 season for the Ambush. They are 3-1 in overtime games.